Mr. Applegate’s practice centers on employee benefit plans and executive compensation, estate planning, general tax planning and consultation, and trust administration. In addition to his J.D. and M.B.A degrees, Mr. Applegate is a certified public accountant having worked with KPMG LLP for over five years. Mr. Applegate assists clients with all aspects of the design, implementation, and administration of qualified retirement plans, including initial design and implementation, compliance and ERISA issues, Internal Revenue Service and Department of Labor audits, and plan terminations, mergers, and transfers. Mr. Applegate has significant experience with ESOP design and implementation. He also works with executive compensation arrangements and assists clients with all aspects of welfare benefit plans, including plan design, employee and regulatory controversies, COBRA issues, and other administrative issues. Mr. Applegate’s estate planning practice includes drafting basic wills and trusts, as well as more sophisticated estate planning techniques. His practice also includes general tax planning and consultation, and assisting clients with tax compliance and controversies. Mr. Applegate performs significant work in business formations and mergers and acquisitions, including due diligence and equity compensation agreements. Mr. Applegate provides a broad range of services to trust fiduciaries and beneficiaries, including trust administration, taxation and accounting issues, and legal matters. Mr. Applegate maintains an AV Preeminent (5.0) rating with Martindale-Hubbell, which is the highest rating awarded to attorneys for professional competence and ethics. 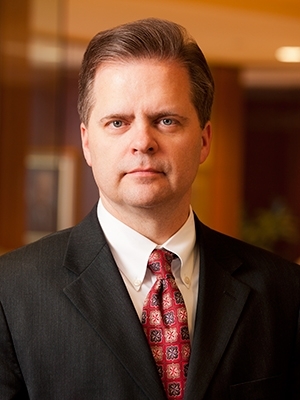 He has been included on the list of The Best Lawyers in America in Employee Benefits (ERISA) Law and was recognized by Best Lawyers as “Lawyer of the Year” in Employee Benefits (ERISA) Law. Mr. Applegate has also been voted by his peers throughout the state as one of Utah’s “Legal Elite,” as published in Utah Business Magazine (2005, 2010-11, 2013-14).